More than 1200km north of Perth and the same south of Broome, Exmouth is miles away from anywhere and everywhere. More than 1200km north of Perth and the same south of Broome, Exmouth is miles away from anywhere and everywhere. Originally established in 1964 to support a US Navy communications base, Exmouth has turned into a popular port town – mainly because, just a short swim away, is the remarkable Ningaloo Reef, one of the largest fringing reefs in the world, filled with fish, coral and turtles of all kinds. 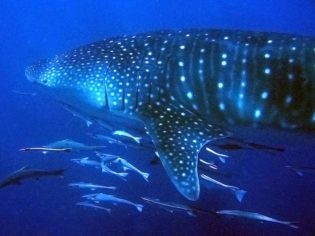 Fishing is obviously a good choice here, and there are many big fish around, but none match the whale sharks that visit offshore from Exmouth every April to July (although, of course, you’re not allowed to fish for those). 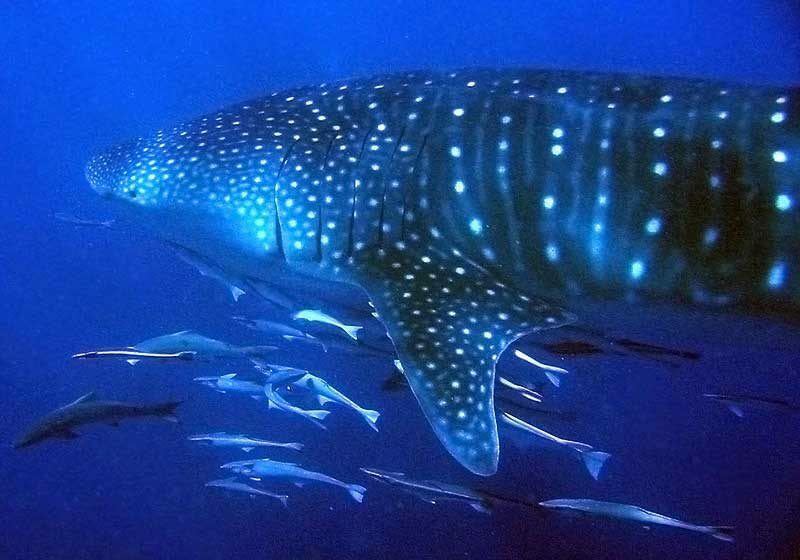 One of the very few places in the world where you can swim with the world’s largest fish, the whale sharks are attracted to the masses of spawning coral. While they can be up to 18m long, they come with their own scuba diver bodyguards for their protection, not yours. During different seasons, you can also swim with manta rays and see humpback whales migrating from Antarctica. Exmouth is also on the doorstep of the Cape Range National Park, which is full of rocky limestone ranges, deep canyons, lagoons and unspoiled beaches perfect for exploring. Where? // 155km (2hrs) north of Coral Bay, or 1270km (15.5hrs) north of Perth. Did you know? // There’s a monument in Exmouth looking over the ocean that commemorates Operation Potshot, during which US Submarines used the area as a refuelling base from 1942, until the base was destroyed in 1945 by a cyclone.